The CleanLight Water Purifier 75 ensures with UV-c light for clean and fresh water without viruses, funguses, bacteria and algea. 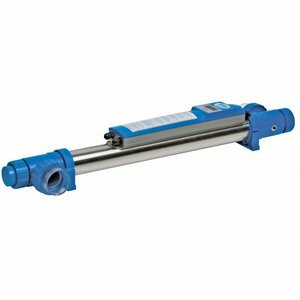 Suitable for pools up to 75,000 gallons. In the CleanLight Water Purifier, UV-C radiation of 253.7 nm wavelength is produced by the special CleanLight UV lamp, ensuring a lethal effect on bacteria (including Legionella bacteria), fungi and algae. The CleanLight UV-C purifier provides an efficient and environmentally friendly way to clean, fresh and clear water. 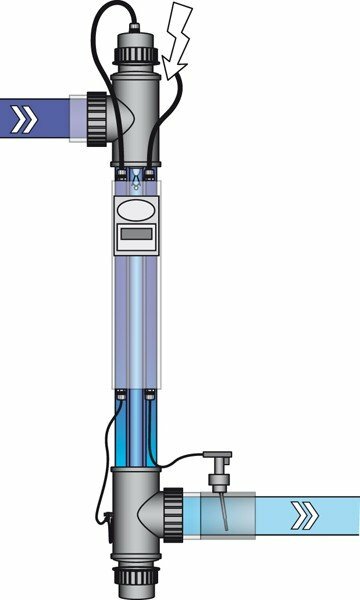 The water is fed through the UV-C unit by means of a pump. The UV-C radiation neutralises bacteria, viruses and other primitive organisms and prevents them from reproducing. The CleanLight UV-C Water Purifier 75 has a built-in high-frequency electronic ballast. This ballast absorbs current fluctuations, thereby protecting the lamp. The CleanLight Water Purifier 75 also includes an integrated hour meter that accurately monitors the number of hours. You can see exactly when the lamp needs to be replaced. In addition, the stainless-steel interior reflects the UV-C radiation, thereby the efficiency is increased to 35%. Thanks to the CleanLight UV-C Water Purifier 75 your water will be disinfected efficiently and safely, and providing you with excellent water quality. - Built-in electronic ballast for an even power supply. 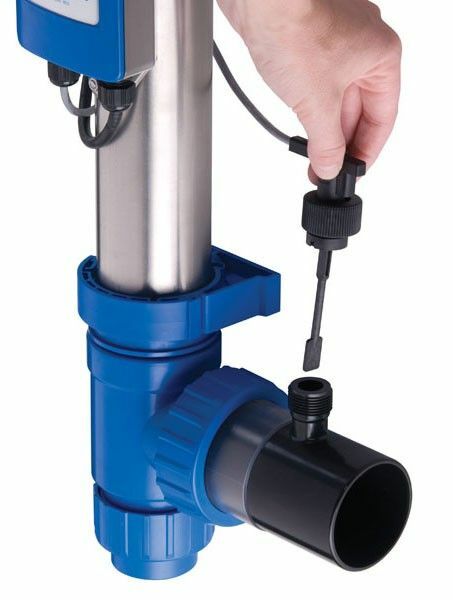 This CleanLight Water Purifier 75 can be used for the disinfection of water in swimming pools, basins or other installations. In this way, keeping the water free from fungi, bacteria and algae is made simple. UV light has been used for decades to disinfect or decontaminate hospital rooms, the CleanLight Water Purifier is a simple solution for small to medium quantities of water. It keeps the water clean from bacteria, fungi and algae.